Women tend to take care of everyone else first. You know that saying, “Put your oxygen mask on first?” Now that I am in my 40s I feel that it really applies to my peer group: moms and wives 40 and up. Just as we get a handle on life, or think we have, we get thrown lots of curve balls, from chaufering teenagers to caring for aging parents. All women need a getaway, even just a long weekend. Nashville may be landlocked, but Gulf Shores and Orange Beach, Alabama, are a 7-hour drive trip. Yes I can have my morning coffee in Nashvegas and have my toes in the water of the beautiful Alabama Gulf Coast before sunset! 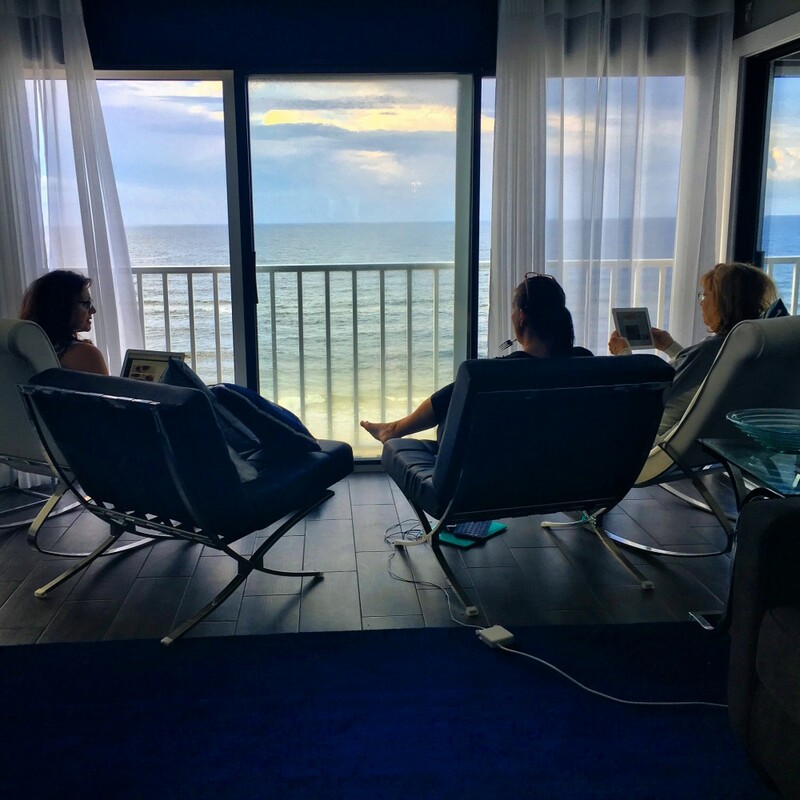 I recently traveled with two fabulous Nashville food bloggers, Susan Williams from That Susan Williams and Angela Roberts from Spinach Tiger, on a hosted Gulf Shores getaway. 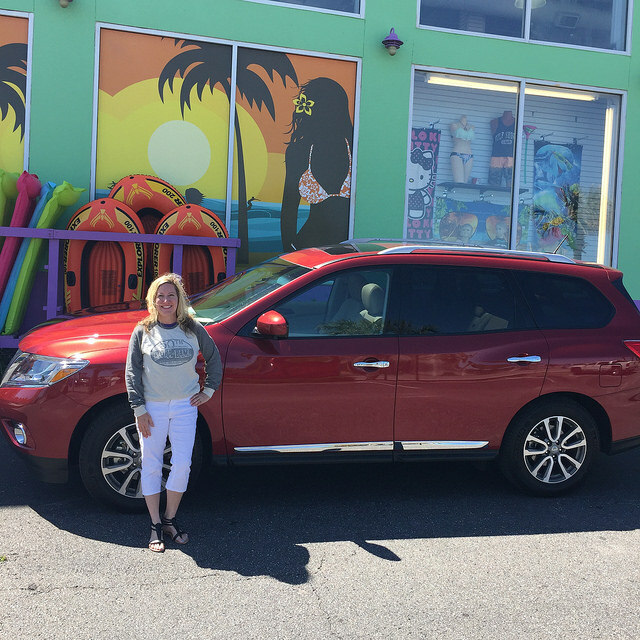 Big thanks to Nissan for letting me review a 2016 Nissan Pathfinder during our road trip. I’ll be following up with a post about test driving this spacious SUV, perfect for beach road trips! 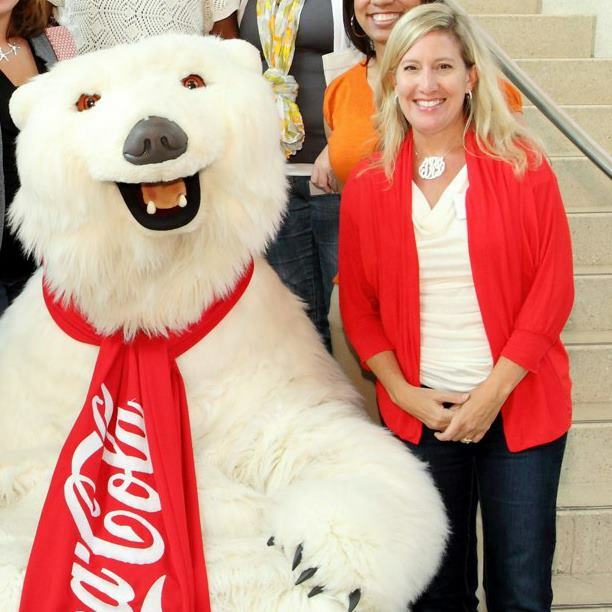 We met up with Atlanta-based travel blogger Desiree Miller from Stress Free Baby. 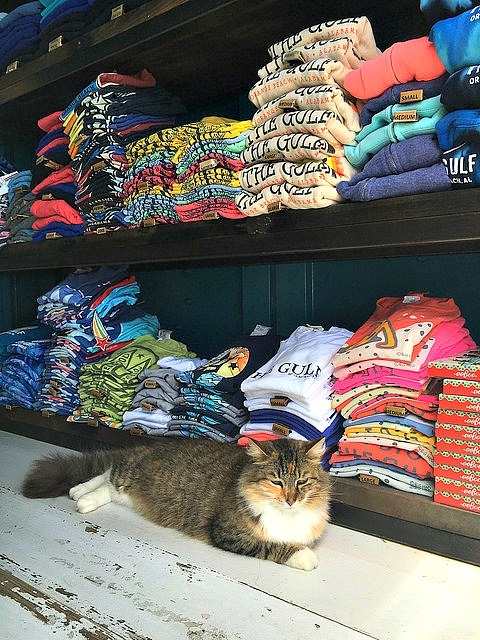 I traveled to the Alabama Gulf Coast for the first time with my family last July, but it’s also the perfect girlfriends’ getaway destination. From shopping to kayaking and from spa treatments to sailing, there is much to see and do. Of course one of my favorite things to do at the beach is NOTHING. I love to sit on the beach and enjoy the ocean with a good book and an ice cold beverage. There’s no place else on Earth that makes me feel more grounded and at peace. Relaxing in front of our Edgewater condo. The Alabama Gulf Coast has a wide variety of condos and beach houses to choose from. We stayed at the Edgewater, which is managed by Gulf Shores Rentals. Our condo was truly a girls’ getaway retreat! We walked in and immediately were wowed. Our unit was unique in that it had been two units that had been combined so it was incredibly spacious, with more than 2,000 square feet. We all had our own bedrooms and bathrooms and the main living room was quite spacious, so we never felt crowded or in each other’s way. Our 7th floor unit provided a fantastic vantage point to enjoy gazing out at the ocean. Of course, being bloggers, we all did a little bit of work in the mornings before heading out for the day. This is one of my favorite images from the trip. 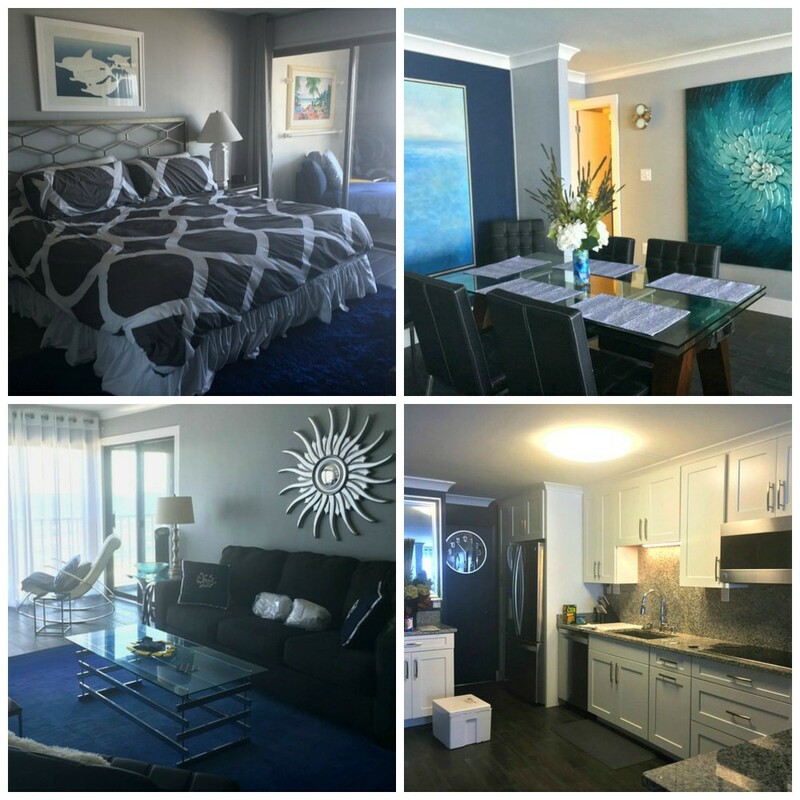 Our condo was owned by an interior decorator and was elegantly decorated with a modern vibe and gorgeous contemporary artwork in ocean hues. Our unit really had everything we needed to cook in our own kitchen, but we chose to simply enjoy breakfast at the condo and try out local restaurants at lunch and dinner. Sliding glass doors the full length of the ocean front side offered a gorgeous view and tons of natural light, which is such a mood booster! The sliding glass doors leading out to an enclosed balcony just outside my bedroom were perfect for letting in the fresh ocean breeze at night. There’s no better way to fall asleep at night than to the sounds of the surf. Here’s the link with all information about renting this amazing unit, Edgewater 72, from Gulf Shores Rentals. Here are some of the highlights of our hosted stay. You can search for #VisitALBeaches on social media to view our posts from our getaway. Kayaking with Wild Native Tours - Although I have been canoeing several time in my life, I’ve never been kayaking. Our tour guide, Johanna, was knowledgeable about wildlife and the natural habitat of Oyster Bay and gave us tons of interesting facts. We went on a morning kayak excursion and it was peaceful and relaxing, as well as a great arm workout! I mean a REALLY great workout as we were paddling against a pretty hefty wind on the way back. We also were lucky enough to spot dolphins while out in the bay. Here’s a fun video I shot of Johanna after our excursion. Beach Yoga with Glow Yoga - What a FANTASTIC experience ya’ll. It was so grounding and peaceful to start the day with yoga on the beach. Our instructor, owner Jennifer Guthrie who moved to the Gulf Coast from Nashville in 2012, was amazing and we all felt like we’d had a moment where we reached true clarity. The rhythmic sound of the surf and the ocean breeze was the best yoga environment imaginable, most definitely better than any studio I’d ever been in. Glow Yoga has a studio in Gulf Shores and offers yoga classes at The Gulf restaurant on Saturday mornings. Here’s a fun live Facebook video shot during our morning beach yoga class. 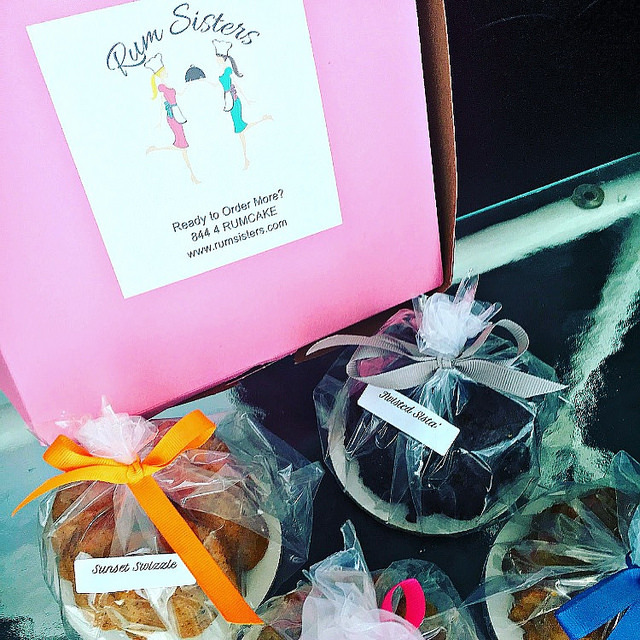 Rum Cakes from Rum Sisters - These were moist and delicious and definitely a must try. I had rum cake for breakfast one morning along with my morning coffee. Yes they ship their delicious cakes! Personally I think that rum makes a good balanced breakfast. 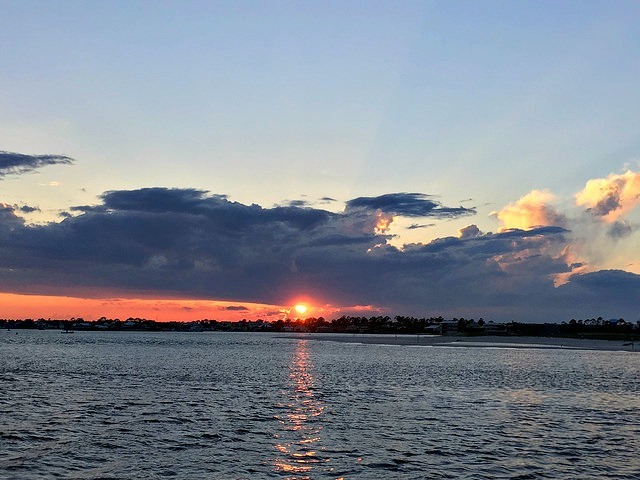 Sunset Cruise with Sail Wild Hearts - I enjoyed a morning sail with my family last summer courtesy of Sail Wild Hearts and our entire family loved the experience. A sunset cruise was another beach bucket list item I was able to cross off during this girlfriends’ getaway. There’s nothing more peaceful than watching the sun set over the ocean, feeling the breeze, and spotting dolphins. What a perfect way to end our trip! The captain and crew aboard Sail Wild Hearts are incredibly professional and friendly and the catamaran is spacious. 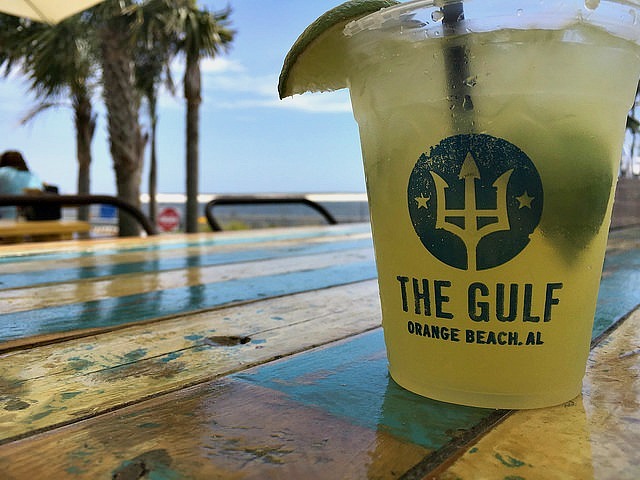 Lunch at The Gulf – What a fun and funky waterfront vibe this place has! 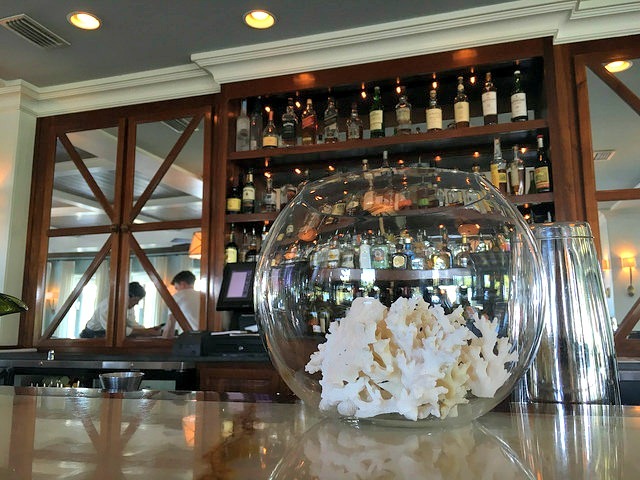 From the inflatable white contemporary furniture on the beach to the rustic repurposed furniture on the outdoor deck near the bar and the vinyl tunes playing all day long, this is the perfect spot to grab an amazing burger or beer battered fish sandwich (highly recommend) and a drink between beach going. 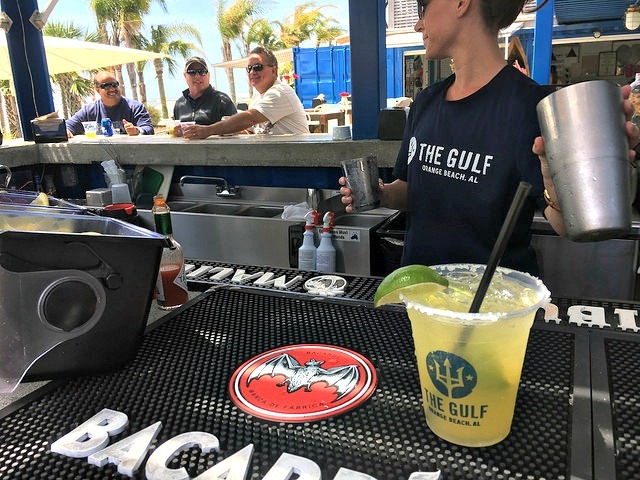 The Gulf has an awesome outdoor bar that features craft beer and a changing wine list. 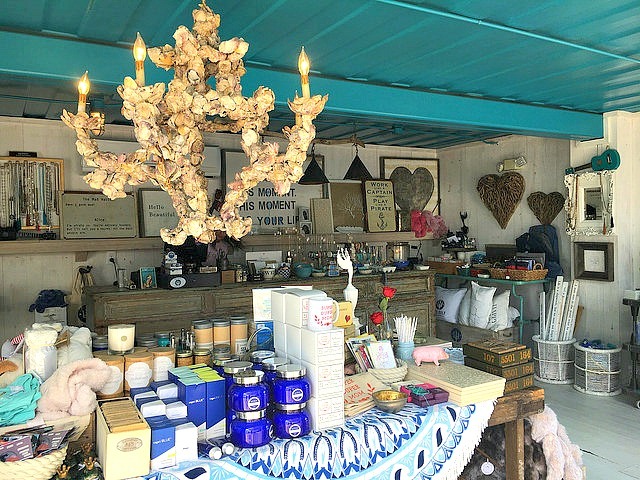 The gift shop at The Wharf was also filled with wonderful eclectic items. I could have spent an hour browsing in the gift shop. Massage at The Spa at The Beach Club by Spectrum Resorts – No getaway is complete with out a spa experience of some sort. 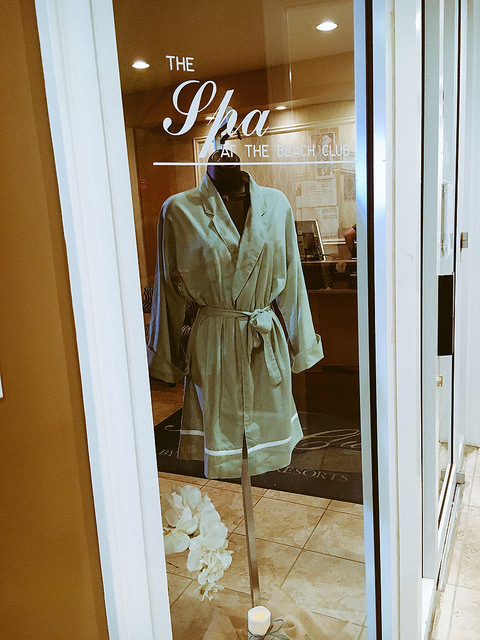 We all enjoyed a relaxing afternoon at The Spa at the beautiful Beach Club in nearby Gulf Shores. Dinner at The Beach House Kitchen & Cocktails - This is a quieter spot that locals love. 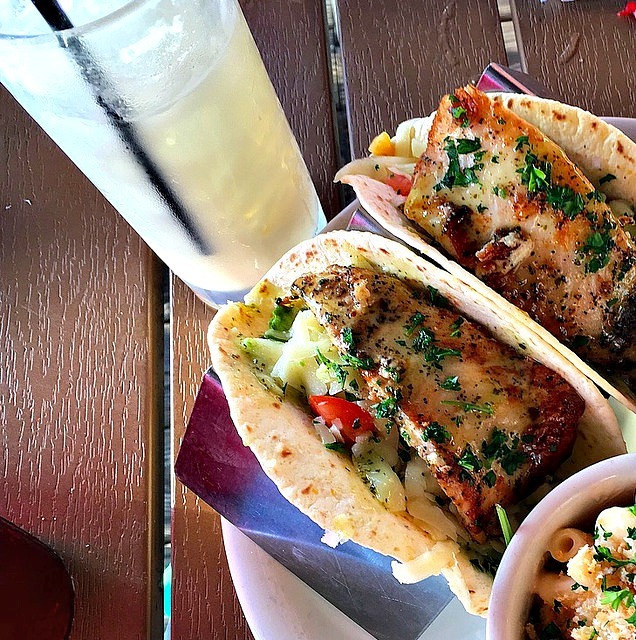 The grilled fish tacos were probably among the best I’ve ever eaten. It’s not a beach front restaurant, but located across the street from the beach, so it’s a little less crowded and nice if you need a little less noise. 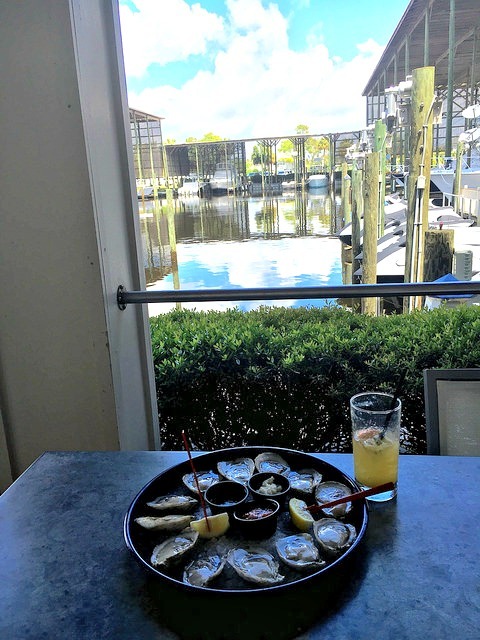 Lunch at Fishers at Orange Beach Marina – Fishers was a new dining experience for me and I have to say that NO trip to Gulf Shores would be complete without dining there. 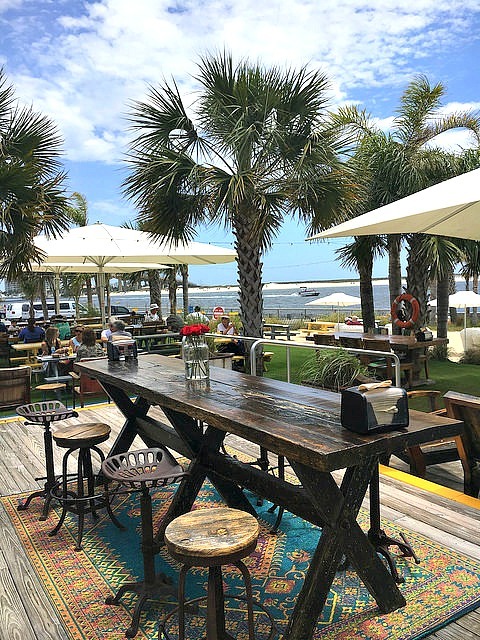 Not only is the restaurant beyond beautiful, think I just stepped into a Coastal Living magazine spread, but the food and drinks are exemplary. We held our girlfriends’ getaway Twitter chat from Fishers’ downstairs outdoor dining area that overlooks boat slips. 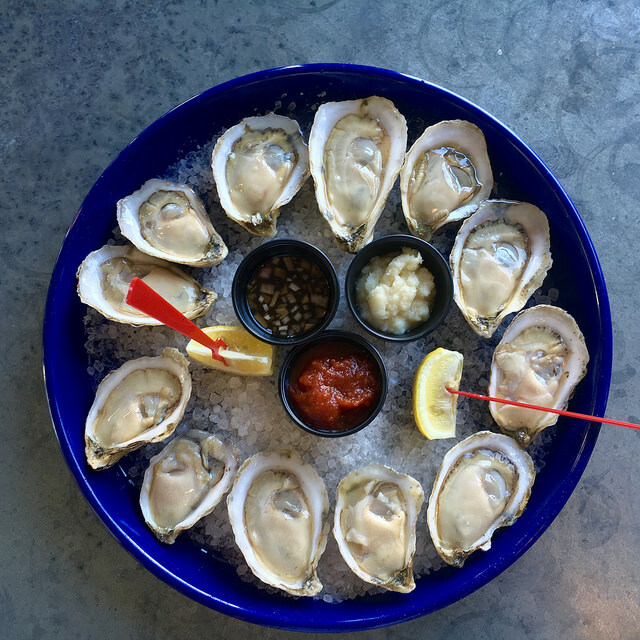 I also had the most amazing raw oysters I’ve ever had in my life and I have eaten my share of oysters. Look how beautiful these are! The downstairs dining area overlooks is casual (and is even dog friendly which spoke to my heart as a dog lover). 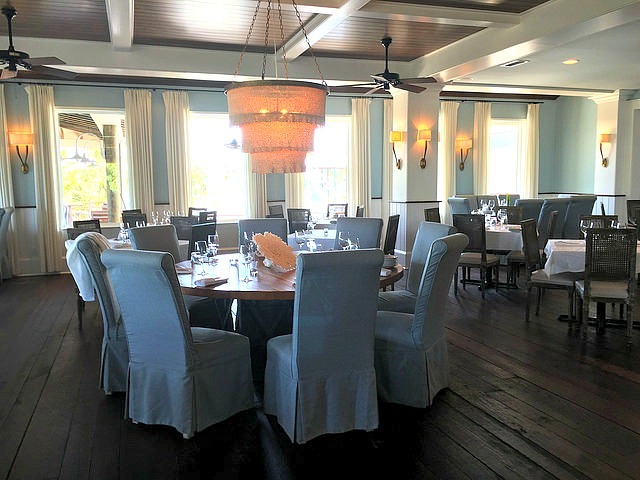 The upstairs dining area has a more elegant coastal vibe and is simply gorgeous. When was the last time you got away from it all with a group of friends? I took quite a few photos during our getaway and it was tough to narrow them down for this post. If you’d like to see them all on Flickr, click here for the full album. 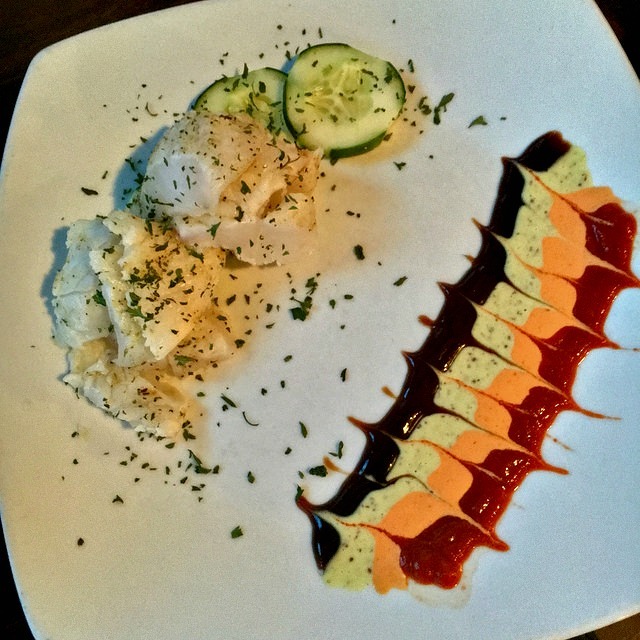 Check out the posts from my fellow travelers! Disclosure: Accommodations for this trip to the Alabama Gulf Coast were provided to our group at no charge. We also were hosted at area restaurants. As always, all opinions expressed on my blog are mine! 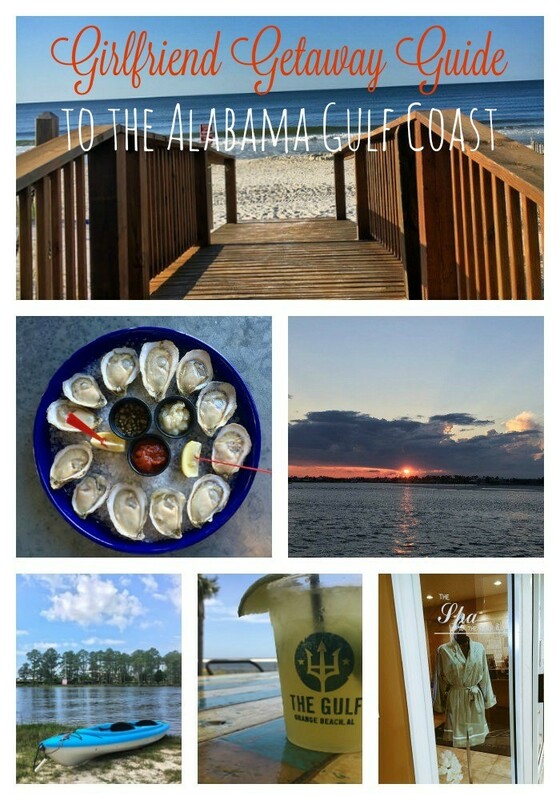 This entry was posted in Travel and tagged Alabama, Alabama Gulf Coast, beach, girlfriend getaway, gulf shores, Orange Beach, travel, vacation. What fantastic descriptions of our wonderful Coast! Gulf Shores, Orange Beach, Perdido Key, and Foley-what we call our Coast360-is the best home or vacation spot anywhere! Come again! What a great wrap-up, Jamie! I hope your readers understand what a gold mine of information they have hit on, by landing on your page! I love the pic of us in front of the window enjoying morning coffee, too. Gosh, I think I could happily retire some day at the beach Imagine waking up to that kind of view every morning. Unit 72 is an elegant treasure! 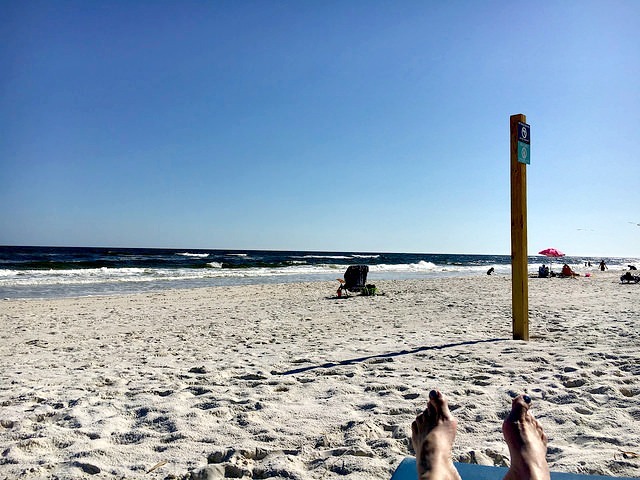 The beaches of Alabama, Gulf Shores and Orange Beach area are the PERFECT place for a Girlfriend Getaway, and I would go back in a HEARTBEAT! Thank you so much for the invite! Truly, in the words of an old song, “I….had….the time of my life…..”. So happy we got to share this trip and get to know each other better! Jamie, You captured this well. I love the picture with the cat and I especially love the way you took a picture of the oysters with that background. Love you! Such an amazing trip. I enjoyed all of our talks! If you are a tourist and looking for house on rent for couple of days in Gulf Breeze, visit us. We have an apartment with two bedrooms, Modular Kitchen, Modern washroom, Sofa Sets and Parking Area. Looks like you had a wonderful trip. If you want something a little different like an inshore fishing trip or dolphin cruise, check out http://Www.dottiejofishingcharters.com. Captain Joe Garrison has 42 years experience as a Gulf Shores fishing guide. You won’t be disappointed.